Wine is an exceptional beverage. Research shows that drinking a glass of red wine every day holds myriad benefits, from potentially lowering your cholesterol to keeping your memory sharp, due to the resveratrol leeched from the healthful grapes. Still, it is the romance of wine — not the science — that attracts most drinkers. Wine has a long history of uniting people and igniting passions, which is why it is always the drink of choice on Valentine’s Day. 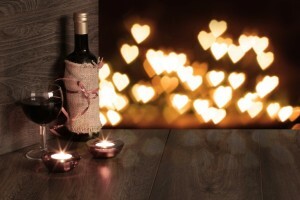 This year, if you want your February 14 to dazzle your darling, bring your significant other to Niagara’s wine country. With more than 400 acres of land devoted to growing the world’s most perfect grapes, Niagara can offer wine-tasting experiences like nowhere else in the world. Familiar varietals chardonnay and merlot join creations unique to the region, like icewine, so visitors have the opportunity to drink a wide variety. Plus, exceptional chefs flock to the Niagara area for its fresh and plentiful produce, so your wine will be able to pair perfectly with an extraordinary meal. While the dreamy scenery can be enough to lull any lover into a close embrace, the right wine at the right time will create an ambiance of pure passion. Here’s what to serve your lover during your Valentine’s trip to Niagara Falls to ensure a February 14 you’ll remember for a lifetime. Inspiring passion in wine enthusiasts across all borders, the pinot noir grape inarguably creates the most romantic wine of all. This type of wine is marked by its especially rich fruity scents and flavors, including red berries and black cherries, as well as the earthy notes of mushroom and forest floor. However, the pinot noir grape is especially difficult to grow, and not all wine-growing regions are able to produce high-quality crops to turn into wine. Fortunately, Niagara’s verdant valleys are a haven for most varietals of wine, and Niagara winemakers seem to have no trouble creating excellent pinot noirs. Recently, 2027 Cellars began to shine as a top producer of fruity, aromatic pinot noirs, but Tawse and Redstone wineries both have a long history of producing complex, layered wines of this varietal. The popularity of this white wine shouldn’t discount its ability to incite romance. The prominent oaky flavor is developed by variable undertones of lemon, vanilla, grass, or others. In addition, the velvety mouthfeel of the wine generates a luxurious sensation in the drinker. One of the biggest benefits of chardonnay is its versatility in food pairing; thus, interested tasters may do well to find a vineyard that offers a restaurant for on-site pairings. Still, the highest-rated locations for chardonnay are Malivoire Wine and Hidden Bench Vineyards. Affectionately referred to as “cab sav” by avid drinkers, cabernet sauvignon is a full-bodied red wine highlighted by its flavor profile full of dark fruits. Most winemakers include the scent and taste of black current, cherry, or blackberry; however, to round out the experience, many cabernet sauvignons also include notes of black pepper, tobacco, or licorice. The full body and maturity of cabernet sauvignon wines will enhance the fondness and commitment between two lovers on Valentine’s Day. Rockway Vineyards is creating fascinating red blends using its best cabernet sauvignon grapes; meanwhile, Two Sisters Vineyards has developed a cab sav icewine that is being hailed as purely decadent. 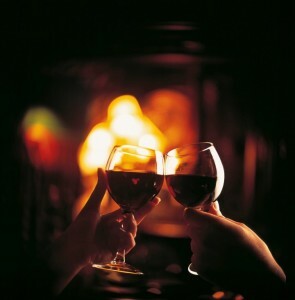 Plan a visit to Niagara’s wine country this Valentine’s Day and get ready for the romantic getaway of a lifetime.